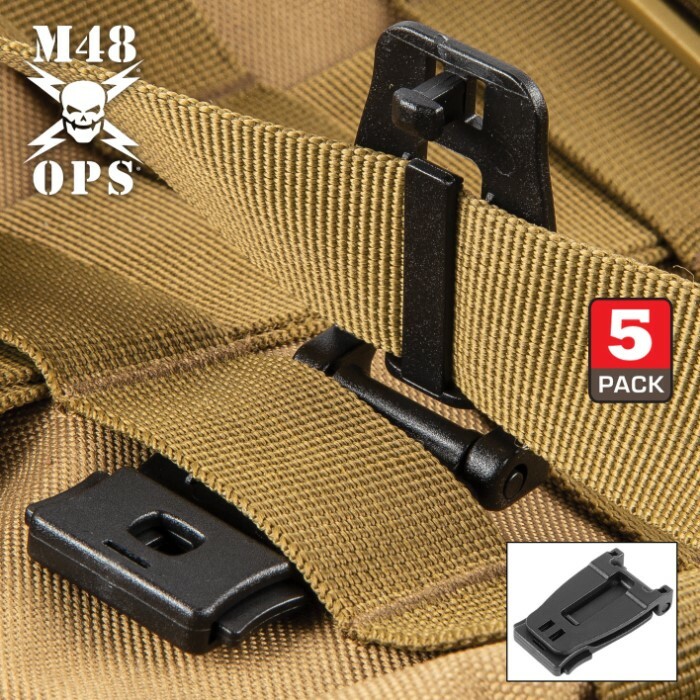 M48 MOLLE Webbing Connecting Buckle Clip - Five-Pack, Sturdy POM Construction, One-Handed Release - Dimensions 2”x 1” | BUDK.com - Knives & Swords At The Lowest Prices! 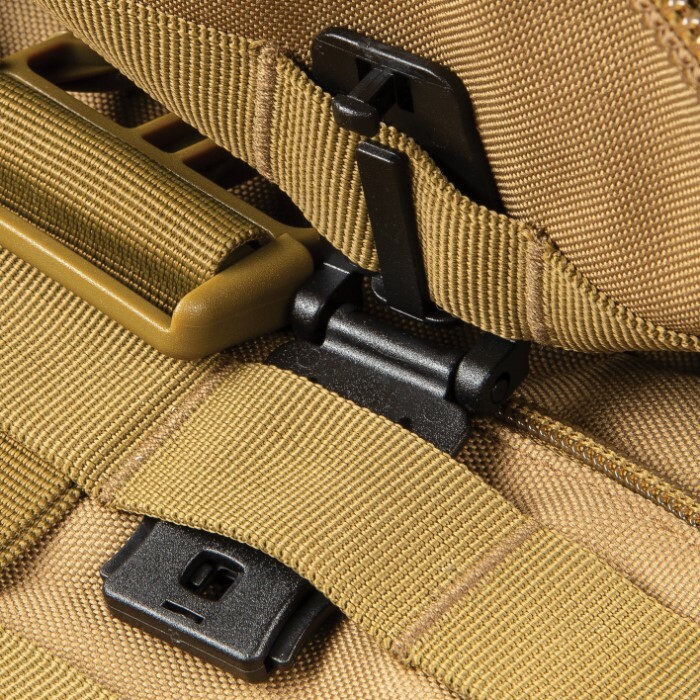 Our M48 MOLLE Webbing Connecting Buckle Clips are a must-have for your tactical gear bags, backpacks or anything with MOLLE webbing. 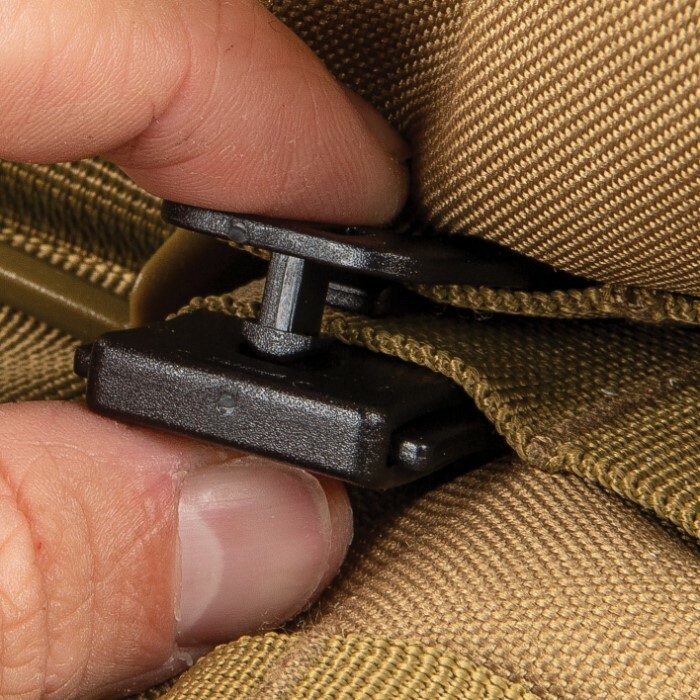 Use these connecting buckle clips to quickly and easily join two bags or pouches together that have 1” MOLLE webbing or secure hanging straps that are potential snagging hazards. Each clip has a sturdy POM construction, giving it a high tensile strength, and is easy to remove and attach from straps. 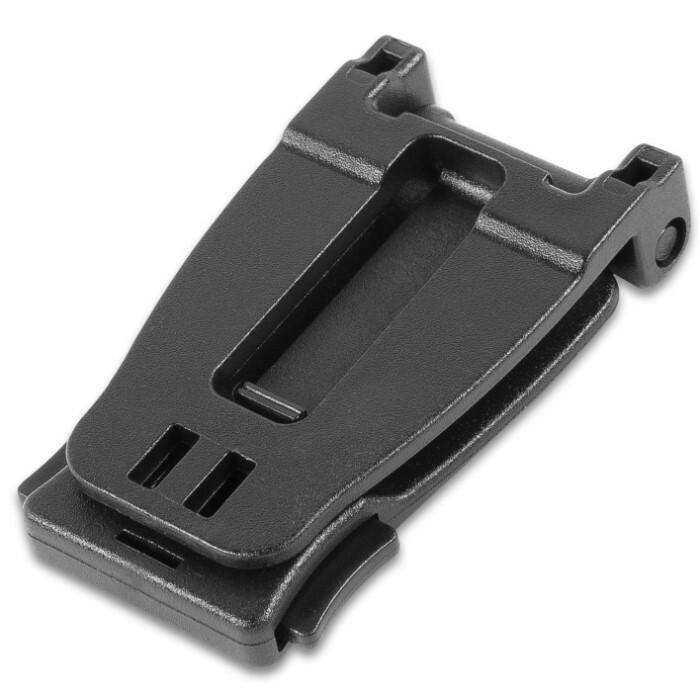 They are made specifically for connecting your tactical accessories that require quick and easy one-handed access. 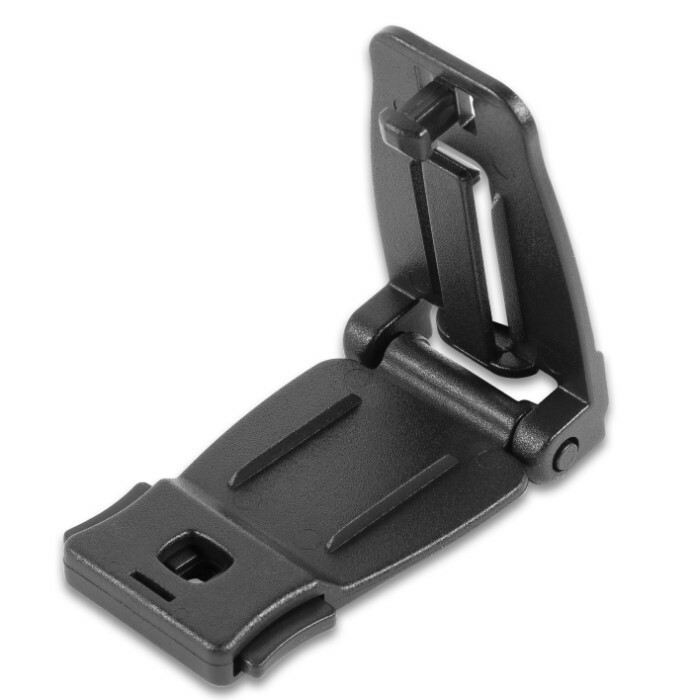 There are five black webbing connecting buckle clips in the package. I used these to clip to magazine pouches together. The pouches have a shoulder strap so I can carry them to the range and these clips let me double my capacity. I don’t know how long they will last, but I bought more!